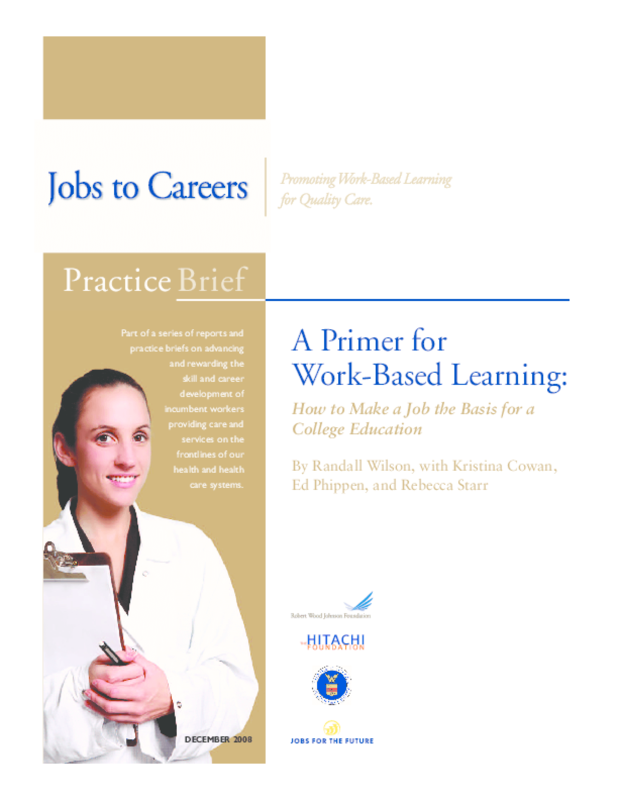 Provides an overview of the Jobs to Careers model, in which employers and colleges collaborate to embed curricula and training in the work process, as a way to meet healthcare labor force needs. Includes grantee profiles, lessons learned, and worksheets. Copyright 2008 Jobs for the Future.